Looking for farm-fresh goods, homemade jellies, and other perfect little gifts? Alabama’s farmers markets offer all that and more. Farmers market’s bring the community together, support local farms, and provide the public with only the freshest of produce. What’s not to love? Here are the 10 best in Alabama. 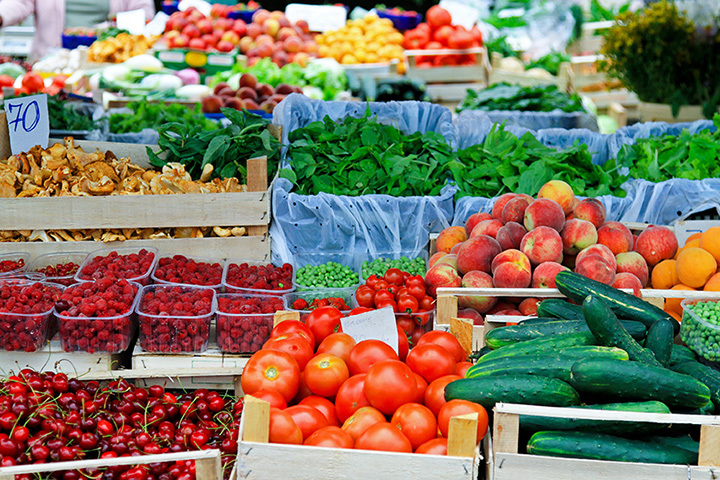 For fresh foods at excellent prices, look no further than Alabama Farmers Market in Birmingham. The indoor and open-air venue allows for a fresh, rain-free experience and has every seasonal type of produce you could imagine. The Coastal Alabama Farmers Market, like so many markets, has a solid variety of produce and meats from local farms. What sets them apart is their sizable variety of freshly caught fish straight from the Gulf. This open-air facility hosts vendors with everything you need from peaches to sweet potatoes to onions. Many vendors feature homemade jellies, soaps, and baked goods that have that extra-homegrown touch. Open Saturdays from 7 a.m. to noon, this market sits on the beautiful Black Warrior River. Housed under a large pavilion to prevent rain cancelation, the river market hosts several vendors that have fresh produce, organic cheeses, and grass-fed beef from local farms. Madison City Farmers Market has everything you need for your local produce needs, and hosts a number of local art vendors. The handmade products and warm atmosphere will keep you coming back. Open year-round, but limitedly in the winter, the Market at Pepper Place is a fun atmosphere for the whole family. Aside from its varieties of produce by local growers, the market regularly features live music that will have you bopping happily around the market as you shop. For stellar produce vendors near the capital, State Farmers Market is the place to go. The friendly atmosphere will have you coming back weekly to support local growers. The Morgan County Market always has something fun and interesting going on. The market hosts several festivals throughout the season, including the Corn Festival, Tomato Sandwich Day, and the Watermelon Festival. Not to mention, they host a wide selection of fresh produce from local farms that are a true standout. The Florence-Lauderdale market sells some of the best selections of fruits and vegetables in northern Alabama. This quaint market is small but mighty, hosting booths from several local farms. The friendly, hometown atmosphere is perfect for a Sunday visit with the family. This family owned market is a must-visit. The market boasts an inventory of over 150 varieties of produce, making it the market with the greatest selection in Baldwin and Mobile counties. The stand out at this market is their many varieties of homemade ice cream and baked goods, ranging from cobblers to bread to pies. View more Alabama Farmers Markets.